General purpose of this report is to analyze Foreign Exchange Orientation of Shahjalal Islami Bank. Foreign Exchange is the exchange of just one currency for another, or the conversion of just one currency into one more currency. 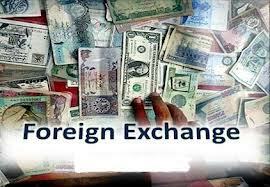 Foreign exchange also means the global industry where currencies are usually traded virtually around-the-clock. Other objectives are to know about distinguishing fractures between Islami and Non-Islami Bank. Here also focus on the investment decision, mode of investment and Lending Risk Analysis (LRA).